As promised, today we released a presentation explaining why Xerox shareholders need to vote to replace certain directors and to oppose the proposed Fuji scheme. Both the substance of the proposed value-destroying transaction and the conflict-tainted process by which it was hatched are an insult to long-suffering Xerox shareholders and make a mockery of well-established corporate governance norms. Fuji – with the able assistance of Xerox CEO Jeff Jacobson – appears to have been successful in putting one over on the board of directors of Xerox. However, the market cannot be so easily tricked. The closing price of Xerox stock last Friday (April 13, 2018), before many of the sordid details came to light, was $28.17 per share, which is approximately 14% below the closing price on the day prior to the announcement of the scheme and approximately 37% below management’s purported deal value of $45.00 per share. We fully expect that Xerox will not prevail in its shameful attempt to keep hidden from shareholders the many other sordid facts surrounding this unfortunate transaction that are still being concealed due to the machinations of Xerox’s lawyers. Despite their attempts to bury the truth, the fundamental economics of the scheme – which dramatically undervalue Xerox and disproportionately favor Fuji – are undeniable. Therefore, we are confident you will agree that the only choice here is to vote out the worst of Xerox’s directors and to oppose the proposed Fuji scheme. We look forward to engaging with you further over the upcoming weeks and months. Please stay tuned for more. SECURITY HOLDERS ARE ADVISED TO READ THE PROXY STATEMENT AND OTHER DOCUMENTS RELATED TO THE SOLICITATION OF PROXIES BY CARL ICAHN, DARWIN DEASON AND THEIR RESPECTIVE AFFILIATES FROM THE SHAREHOLDERS OF XEROX CORPORATION IN CONNECTION WITH THE PROPOSED TRANSACTIONS BETWEEN XEROX CORPORATION AND FUJIFILM HOLDINGS CORPORATION (THE “TRANSACTION”) AND/OR FOR USE AT THE 2018 ANNUAL MEETING OF SHAREHOLDERS OF XEROX CORPORATION (THE “ANNUAL MEETING”) WHEN THEY BECOME AVAILABLE BECAUSE THEY WILL CONTAIN IMPORTANT INFORMATION, INCLUDING INFORMATION RELATING TO THE PARTICIPANTS IN SUCH PROXY SOLICITATION. WHEN COMPLETED, A DEFINITIVE PROXY STATEMENT AND A FORM OF PROXY RELATED TO THE TRANSACTION AND/OR THE ANNUAL MEETING WILL BE MAILED TO SHAREHOLDERS OF XEROX CORPORATION AND WILL ALSO BE AVAILABLE AT NO CHARGE AT THE SECURITIES AND EXCHANGE COMMISSION’S WEBSITE AT HTTP://WWW.SEC.GOV. INFORMATION RELATING TO THE PARTICIPANTS IN SUCH PROXY SOLICITATION IS CONTAINED IN THE SCHEDULE 14A FILED BY CARL ICAHN, DARWIN DEASON AND THEIR RESPECTIVE AFFILIATES WITH THE SECURITIES AND EXCHANGE COMMISSION ON MARCH 14, 2018. THIS LETTER CONTAINS OUR CURRENT VIEWS ON THE VALUE OF XEROX SECURITIES, THE CONSIDERATION TO BE RECEIVED BY XEROX SHAREHOLDERS IN THE TRANSACTION AND CERTAIN ACTIONS THAT XEROX’S BOARD MAY TAKE TO ENHANCE THE VALUE OF ITS SECURITIES. OUR VIEWS ARE BASED ON OUR OWN ANALYSIS OF PUBLICLY AVAILABLE INFORMATION AND ASSUMPTIONS WE BELIEVE TO BE REASONABLE. GIVEN XEROX’S HISTORY OF INADEQUATE PUBLIC DISCLOSURE, THERE CAN BE NO ASSURANCE THAT THE INFORMATION WE CONSIDERED AND ANALYZED IS ACCURATE OR COMPLETE. SIMILARLY, THERE CAN BE NO ASSURANCE THAT OUR ASSUMPTIONS ARE CORRECT. XEROX’S ACTUAL PERFORMANCE AND RESULTS MAY DIFFER MATERIALLY FROM OUR ASSUMPTIONS AND ANALYSIS. WE HAVE NOT SOUGHT, NOR HAVE WE RECEIVED, PERMISSION FROM ANY THIRD-PARTY TO INCLUDE THEIR INFORMATION IN THIS LETTER. ANY SUCH INFORMATION SHOULD NOT BE VIEWED AS INDICATING THE SUPPORT OF SUCH THIRD PARTY FOR THE VIEWS EXPRESSED HEREIN. THIS LETTER ALSO REFERENCES THE SIZE OF OUR RESPECTIVE CURRENT HOLDINGS OF XEROX SECURITIES RELATIVE TO OTHER HOLDERS OF SUCH SECURITIES. OUR VIEWS AND OUR HOLDINGS COULD CHANGE AT ANY TIME. WE MAY SELL ANY OR ALL OF OUR HOLDINGS OR INCREASE OUR HOLDINGS BY PURCHASING ADDITIONAL SECURITIES. WE MAY TAKE ANY OF THESE OR OTHER ACTIONS REGARDING XEROX WITHOUT UPDATING THIS LETTER OR PROVIDING ANY NOTICE WHATSOEVER OF ANY SUCH CHANGES (EXCEPT AS OTHERWISE REQUIRED BY LAW). Certain statements contained in this letter are forward-looking statements including, but not limited to, statements that are predications of or indicate future events, trends, plans or objectives. Undue reliance should not be placed on such statements because, by their nature, they are subject to known and unknown risks and uncertainties. Forward-looking statements are not guarantees of future performance or activities and are subject to many risks and uncertainties. Due to such risks and uncertainties, actual events or results or actual performance may differ materially from those reflected or contemplated in such forward-looking statements. Forward-looking statements can be identified by the use of the future tense or other forward-looking words such as “believe,” “expect,” “anticipate,” “intend,” “plan,” “estimate,” “should,” “may,” “will,” “objective,” “projection,” “forecast,” “management believes,” “continue,” “strategy,” “position” or the negative of those terms or other variations of them or by comparable terminology. Important factors that could cause actual results to differ materially from the expectations set forth in this letter include, among other things, the factors identified in Xerox’s public filings, including the public filings related to the Transaction. Such forward-looking statements should therefore be construed in light of such factors, and the Participants are under no obligation, and expressly disclaim any intention or obligation, to update or revise any forward-looking statements, whether as a result of new information, future events or otherwise, except as required by law. DELL’S OFFER TO BUY DVMT SHARES AT A 42% DISCOUNT: An Insult DVMT Shareholders Should Reject! 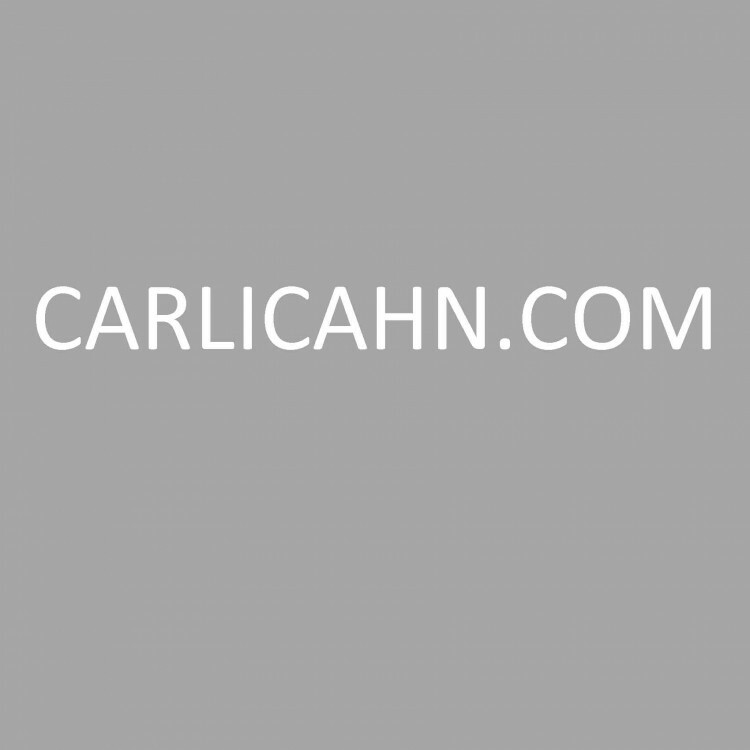 Sign up to receive occasional news from Carl.